Check back for Creature Weekend 2018 News and Updates ! GOLD WEEKEND PASSES AND FRIDAY NIGHT DINNER TICKETS ARE SOLD OUT! However, due to the high demand, we have extended the online VIP and General Admission, discounted ticket sales by a couple days. 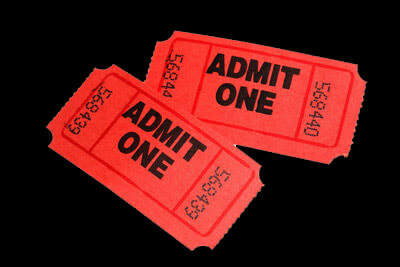 Unless we sell out, we will have a handful of VIP and General Admission tickets available at the door. Reserve your seat and purchase your VIP tickets now! At Creature Weekend this year, we are extremely pleased to be hosting The Ohio Falconry Association on Sunday, October 28th. This educational event is FREE and open to the Public and will take place after the Survival Workshop hosted by Tom Laskowski of the MIdwest Native Skills Institute. The Ohio Falconry Association is a collective of about 100 guys and gals that train and hunt with birds of prey. 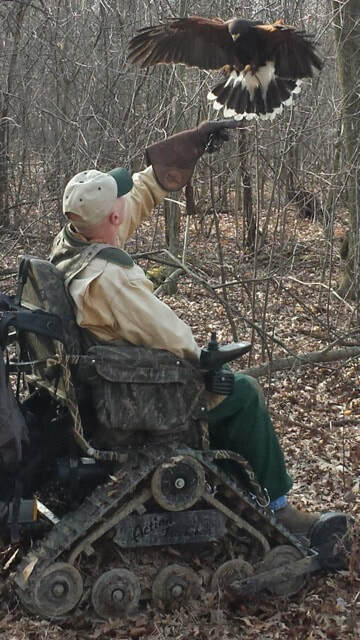 Falconry is the pursuit of wild game with trained raptors. OFA tries to promote the unique bond between raptors and humans in that pursuit. We have members flying red-tailed hawks, Harris’s hawks, goshawks, Cooper hawks, and once in awhile kestrels,merlins, and peregrine falcons. Falconry is a two thousand year old sport that we continue to engage in using the same techniques used in the past while at the same time incorporating 21st century technology and materials. Presenting will be Mike Krock, a wildlife biologist by trade and a falconer for about 5 or 6 years bringing his 2 year old Harris’s hawk. Also Mike Pompoco, former Air Force and airline pilot and falconer for 20 years with his 2 year old Harris’s hawk and Andrew Grether with his red-tailed hawk as well. 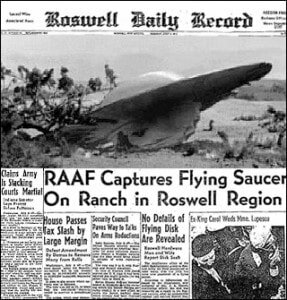 "What really happened in Roswell, New Mexico in 1947"
What really happened in the lonely desert that night in Roswell, New Mexico in 1947? Despite the fact that early responders identified the wreckage as a UFO, the US Air force (and wikipedia) tell us that it was an Air force weather balloon that had crashed. What clues do we have that the government back in 1947 wasn't being forthright with their information? 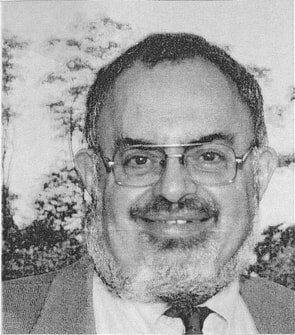 Join us at the Friday Night Dinner with the speakers as the foremost expert on Roswell, Stanton Friedman, uncovers the events that happened that night and why the Gov't explanations about what they really recovered don't hold water. This is a special presentation that you won't want to miss! We are excited to announce that we will be hosting a survival workshop entitled "Can YOU survive?" 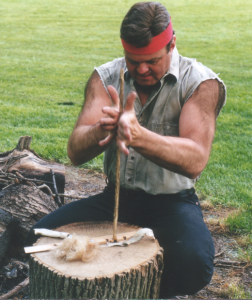 This workshop will be taught by Veteran Survivalist, Tom Laskowski, who is the founder of the Midwest Native Skills Institute survival school. 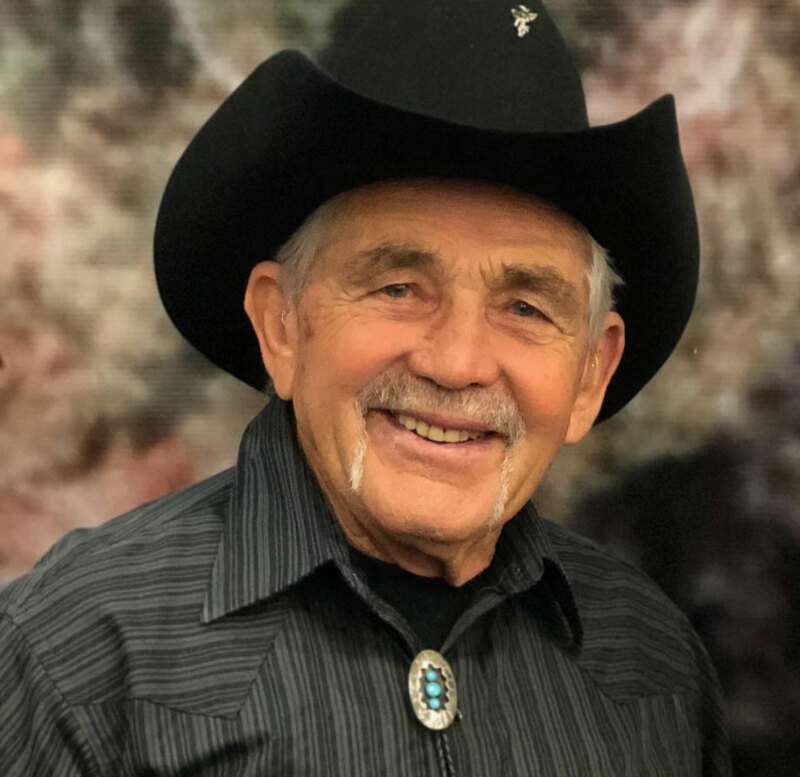 Tom trained with internationally renowned author and tracker Tom Brown, Jr. as well as other survival experts in the field such as Errette Callahan, Daniel Firehawk, Del Hall, Charles Worsham, Robert Berg, and Ray Reitze. Recently, the "American Survival Guide" selected Tom's Survival School, Midwest Native Survival Skills, as one of the top 5 schools to learn Wilderness Self-Reliance and Survival Skills in the United States. You're in the woods, tracking the best lead you ever came across, its been hours and your still tracking...then you look around, see the sun setting and you have no idea where you are. That can never happen to you....right? Just in case, be prepared and join use for our "Survival in the Woods" workshop. Food - Plants or Animals? Survival Kits - what goes into one? This workshop is free to people who hold a Gold Weekend Pass ticket or a Sunday BBQ ticket. 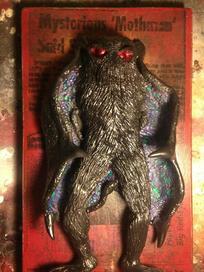 Back by Popular Demand, the Creature Weekend Bigfoot Night Hike! You will have the opportunity to accompany our guides on a night hike to one of the Park's famous Bigfoot sighting locations. 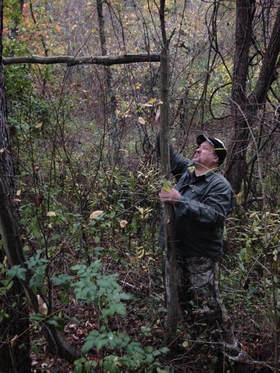 This year, the hike will be led by the Ohio Squatch Project, a local Bigfoot Group dedicated to researching these mysterious creatures. The hike is easy to medium difficulty so please wear appropriate footwear and clothing. 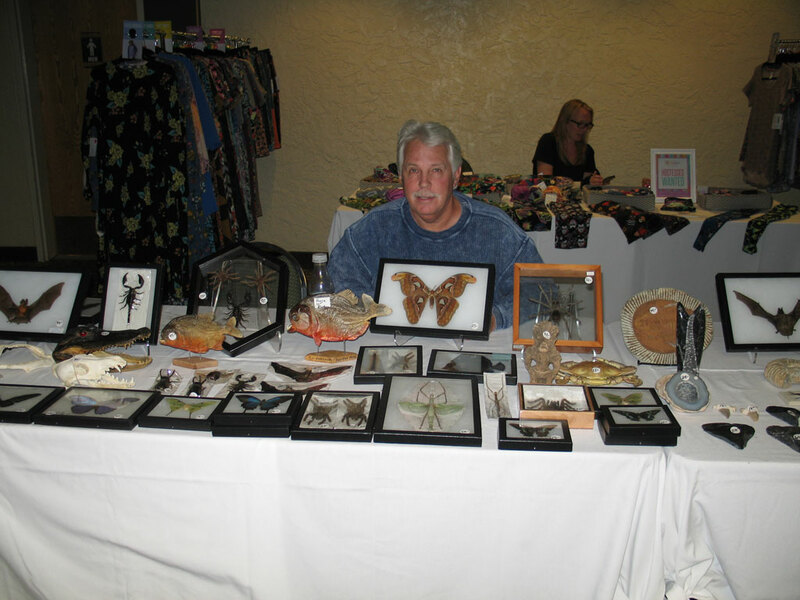 You can RSVP for the hike at the Creature Weekend Registration table. 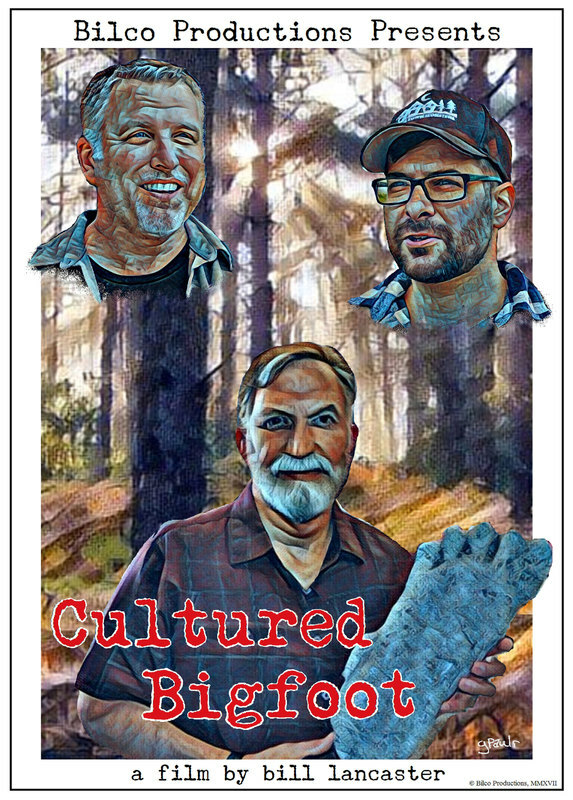 Instructions will be given out immediately after the free screening of "Cultured Bigfoot" which will be taking place at Salt Fork State Park Lodge. Check the schedule for more details. "We are a group that believes in education and preservation of the Forest Giants. 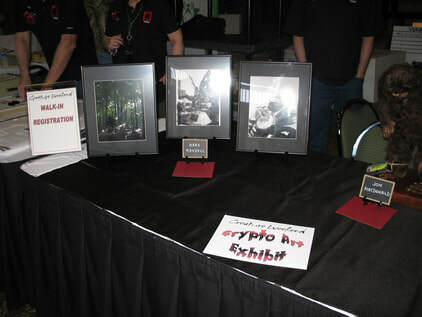 Our members have been researching and educating people about bigfoot for many years and in some cases for as long as 25 years. Our group was founded by Glenn Adkins and Josh Huckels on October 1, 2014. Within those 25 years we have worked with some of the Greatest Bigfoot Researchers of all time. Our mission is to not just prove their existence, but to create a relationship with these creatures. While doing this we would like to encourage and promote the research of bigfoot." We are extremely excited to be adding Amy Bue from Project Zoobook as a speaker at this year's Creature Weekend. Amy Bue will be replacing David Ellis, who unfortunately, can't make it to this year's conference due to personal obligations. 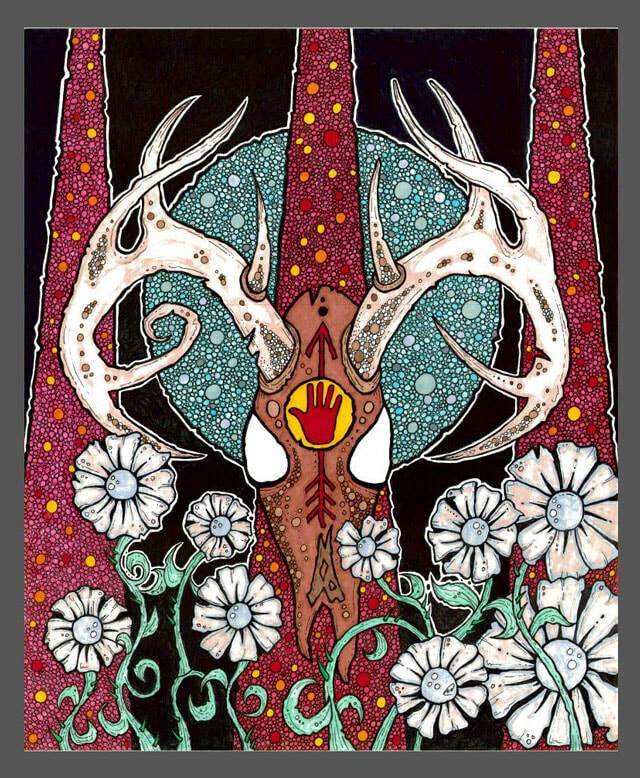 Every year, Creature Weekend hosts its famous Crypto Art Auction where we auction off pieces of art that are Cryptozoology themed in nature and donated by artists and vendors. 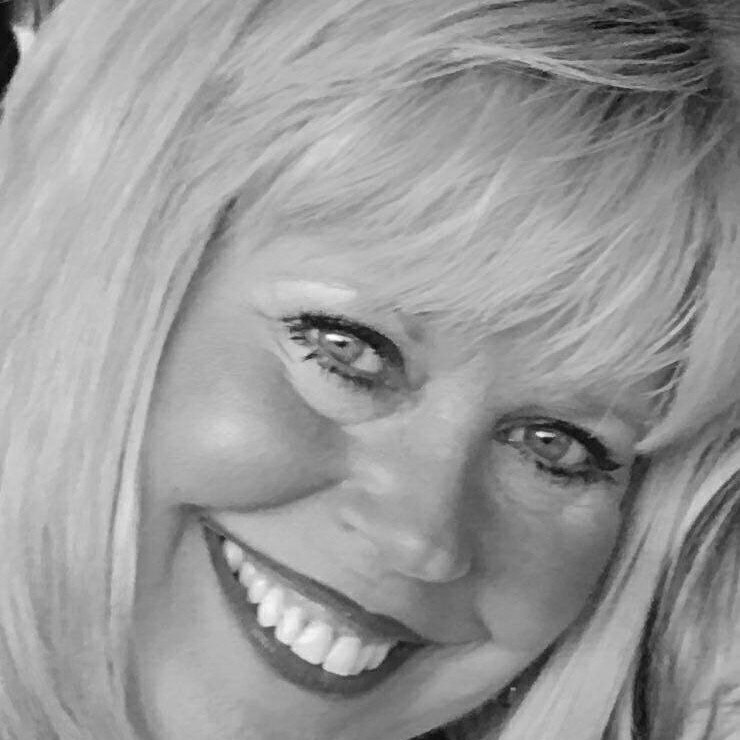 This year, we are extremely fortunate in that our auction will be conducted by a professional auctioneer, Leona Pliszka, who is the owner of an onsite auction business based in Ohio. 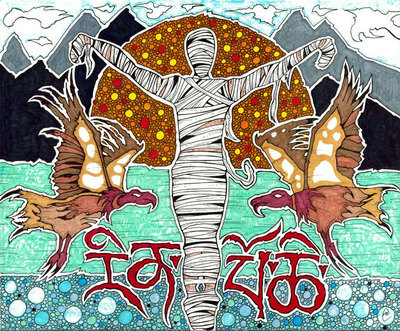 Her interest in Cryptozoology started with the Patterson-Gimlin film leading to her main interest and study of Sasquatch and other cryptids. 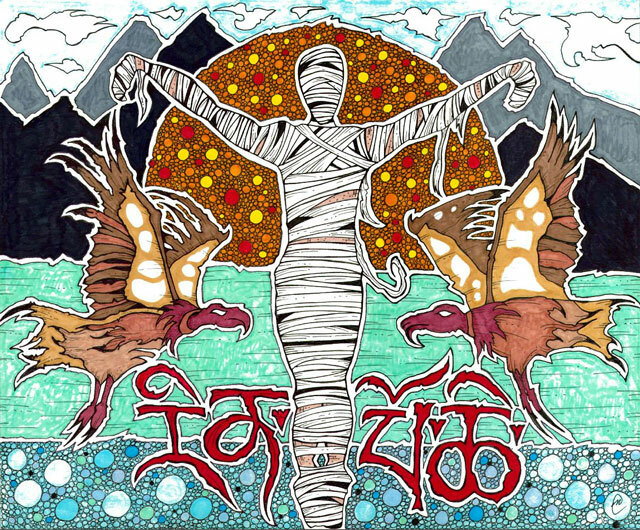 Currently, Leona is a moderator of a Facebook group called, “Anything Cryptozoology, UFO, the Paranormal, Paleontology.” Fascinated with the subject, Leona enjoys studying, reading, watching documentaries and doing field research. 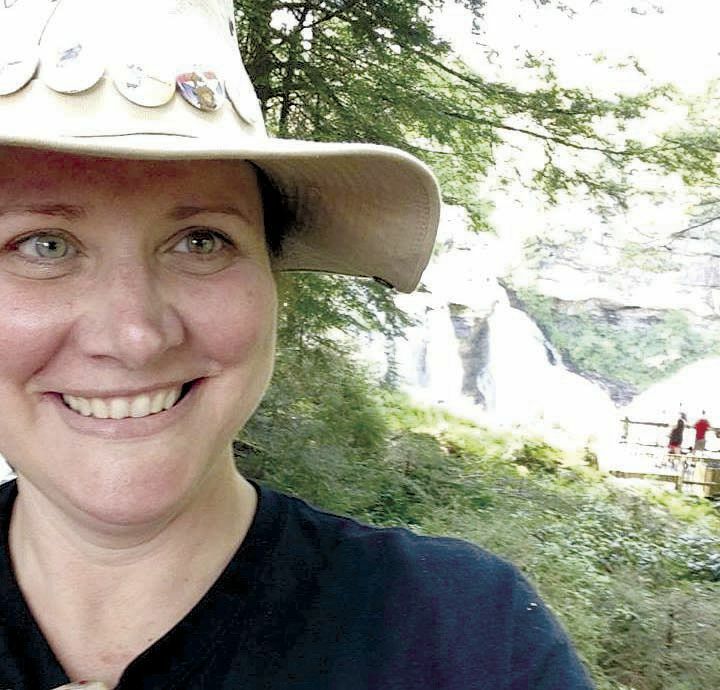 Her most exciting moments in the field include finding a “big foot structure,” footprints and witnessing a vocalization of Sasquatch. 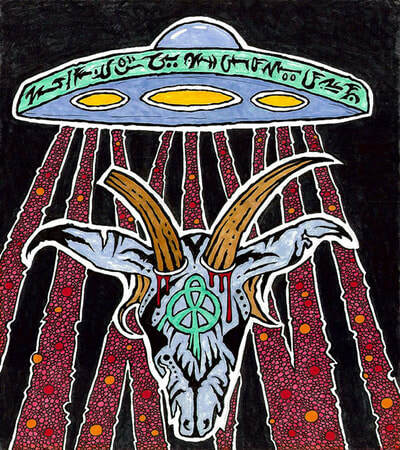 Years ago, she witnessed and documented a UFO sighting in Ohio and has seen flying discs in Costa Rica. Leona has also visited the Blue Mountains in Australia where there have been numerous Yowie sightings. 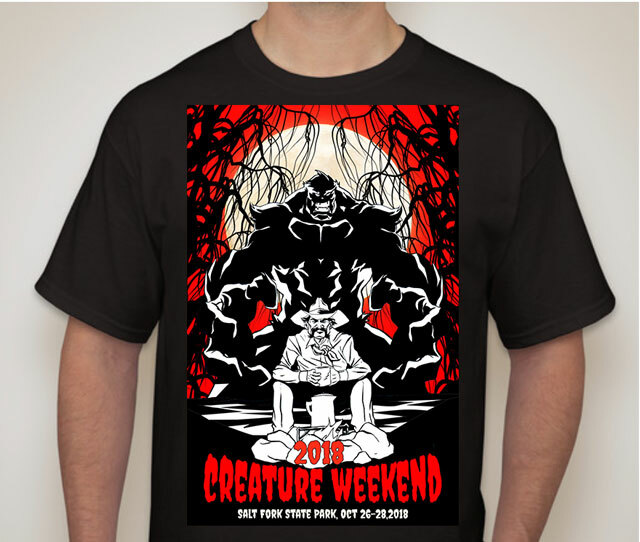 This year, we are fortunate to have several local Bigfoot Groups speak at Creature Weekend. On such group is the Ohio Bigfoot Hunters. 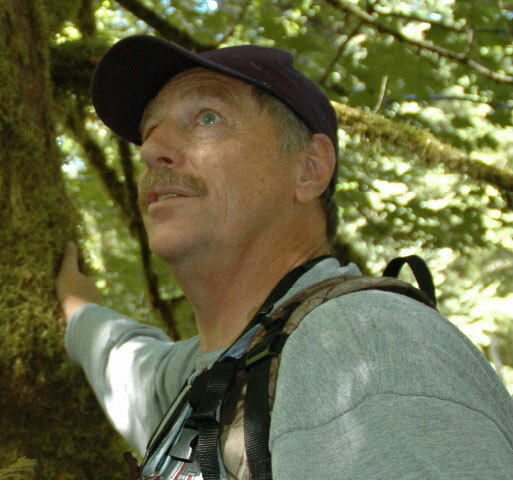 Headed up by veteran bigfoot researchers, Ed Wiland, Wayne Larsen and Tim Stover, this group has been very active in bigfoot research here in Ohio and has members from all over the world. Ed Wiland will be giving a presentation on some of their most recent research here in the Buckeye State. Ed Wiland is a 9 year Veteran of Law Enforcement in Ohio and Georgia. 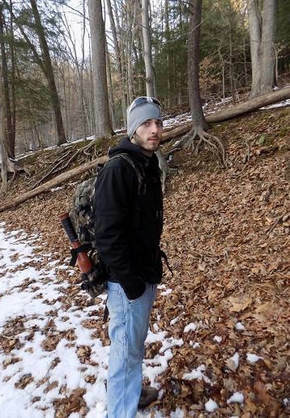 Ed moved back to Ohio in 2012 and Reconnected with Tim Stover-(The Ohio Bigfoot Hunter)a friend since High School. 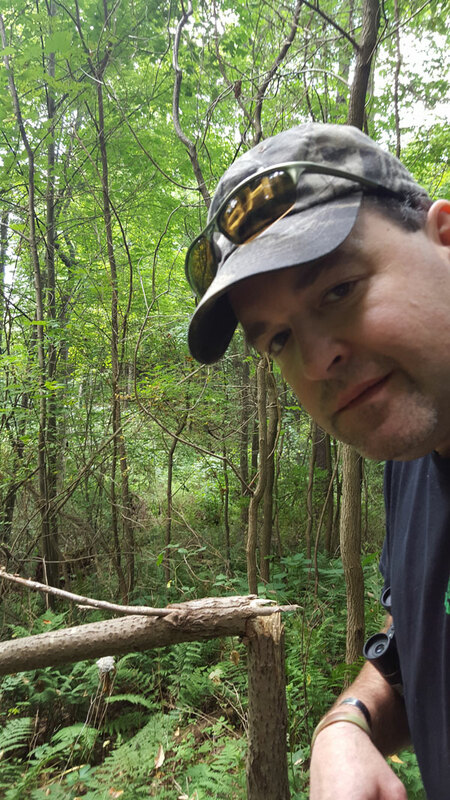 Ed now is an Investigator with Ohio Bigfoot Hunters and spends alot of hours in Portage County's Forests searching for the Creature. Please join me in welcoming "Ed Squatch" to the program this year! Whoop! Whoop! 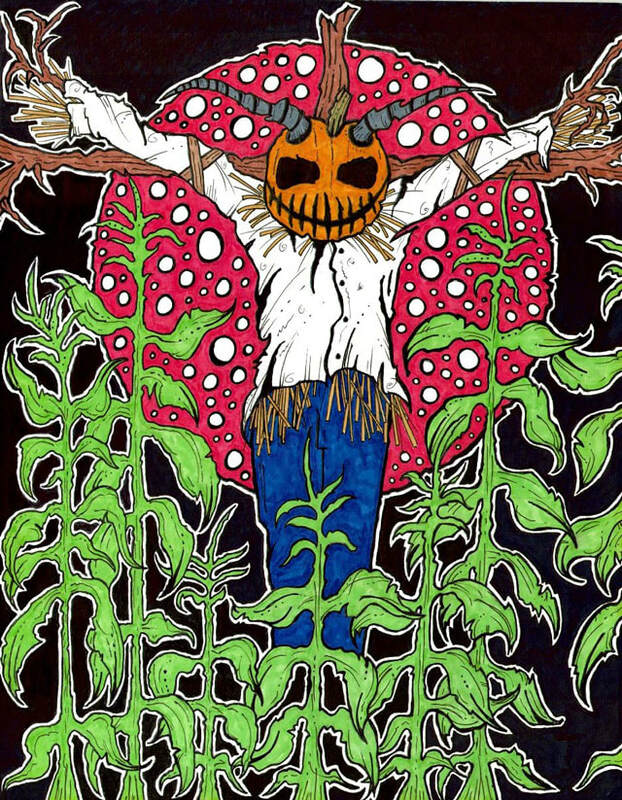 Huge Thanks goes out to Crypto Artist Matthew Porter who will be donating some of his originally designed T-Shirts to the Creature Weekend Crypto Auction! 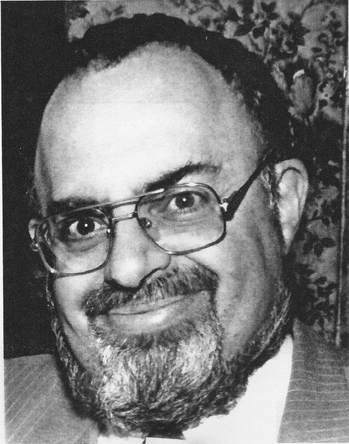 Creature Weekend is pleased to announce that our third speaker at the 2018 Creature Weekend Conference will be Stanton Friedman. Stanton will be giving a presentation on the Flatwoods Monster sighting in West Virginia that occurred back in the early 50's which, to this very day, remains a mystery! 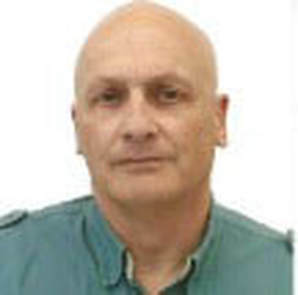 You may know Stanton from his appearances on Larry King, Merv Griffin and Coast to Coast Radio./ He is a highly sought after speaker in UFOlogy and his research on the Roswell crash and consequent cover up by the government is legendary among ufologists. 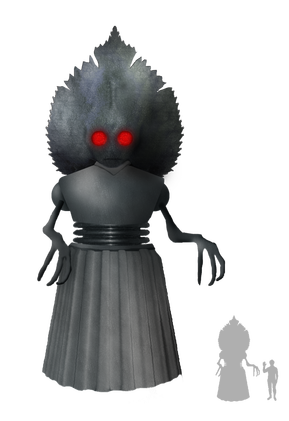 Cryptids come in many different sizes and shapes but there are times when the description of the cryptid defies the imagination, such is the case of the Flatwoods Monster, also known as the Braxton County Monster or the Phantom of Flatwoods. 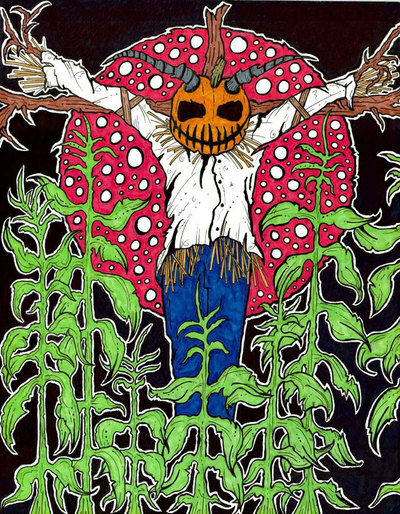 Flatwoods is a small town in West Virginia and on the night of September 12, 1952, this little town of approximately 300 people became a national spotlight when three young boys spotted a bright object stream across the night sky and come to rest on a property owned by a local farmer. The boys (Edward and Fred May, and their friend Tommy Hyer) immediately fetched Edward and Fred's mother, Kathleen. Since the boys were visibly shaken, Kathleen, the three boys, two other local children and a 17 year old National Guardsman set out to the Fisher farm to locate the object of the boys' interest. Upon arriving at the hill where the boys had seen the object come to rest, they noticed that their dog, who had run out ahead of them was returning with his tail between his legs. The group witnessed a pulsating ball of fire about 50 feet to their right that was accompanied by a noxious gas that irritated their eyes and throat. 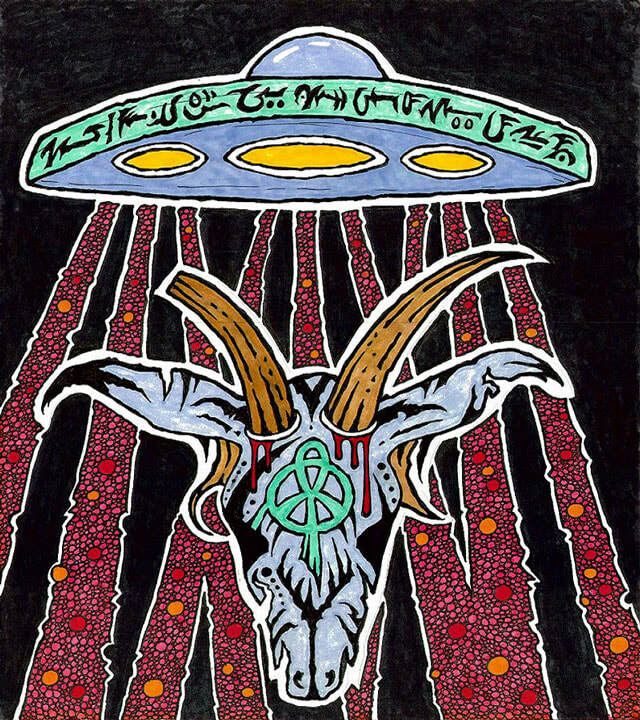 Underneath a nearby oak tree, the group saw a creature which they described as being 7 ft tall, having a glowing face, black body, non-human eyes and a large cowling behind its head that was shaped like a spade. 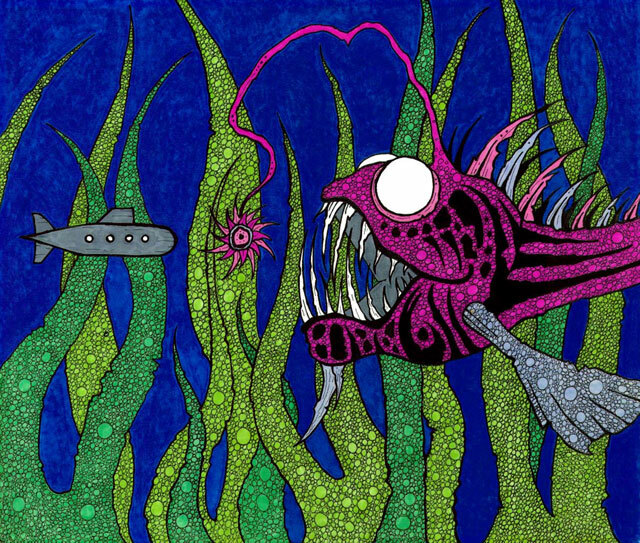 The creature "glided" toward them and made a hissing noise before it sped off in another direction. The group panicked and fled. After this incident was reported, other eyewitnesses came forward with similar encounters and a similar description of the creature. Interestingly enough, members of the September 12th group exhibited a sickness for many weeks after their initial exposure to the noxious gas, similar to the symptoms of "mustard gas" exposure. Bill and Amy are a husband and wife team living in southwest Virginia. Together they are small business owners who also enjoy cryptozoology and other fringe subjects. With Bill's background in photography the couple decided to venture into movie making as a way to further engage their interests. "Cultured Bigfoot" is the result of this inspiration. Bill and Amy hope to use the experience gained from this their first documentary to further develop their share passion into future film projects. SAVE THE DATE! 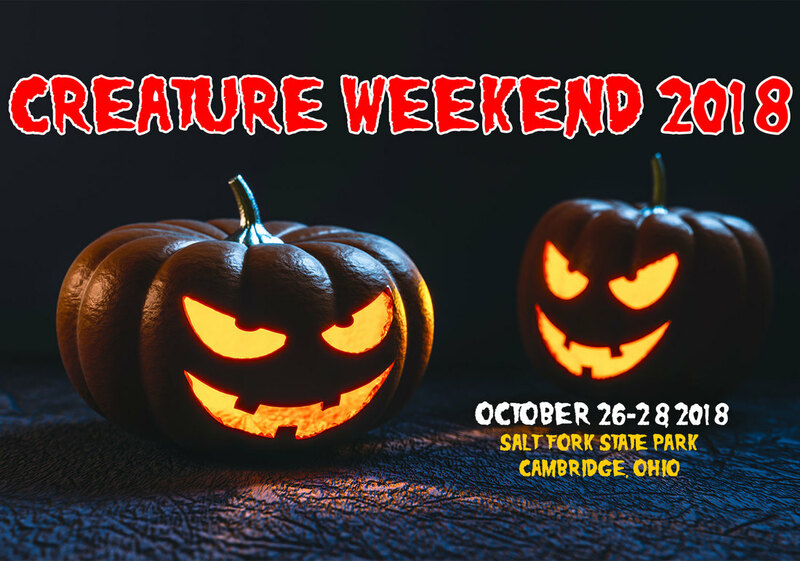 Creature Weekend 2018 will be held on October 26-28, 2018.